Nokia has officially announced that their new internet tablet, the N900 is on its way to the stores and should become available later this month at a recommended price of around 500 EUR. The most interesting aspects of the device are the Linux-based operating system Maemo 5 and the phone functionality of the device, meaning it allows for calls over cellular networks, just like a normal handset. During the tests of our prototype, we found out the N900 was equipped with an extremely capable browser and handy multitasking, so we just cannot wait to get our hands on a final, retail unit and see how it performs. Hope to play with it at the W57th store! I hope you would come back a leave a few comments about it. Although there are other phones I'd prefer to get right now, this MID/Smartphone/internet tablet makes me curious. I wish this would make its way to one of the major carriers in the States. 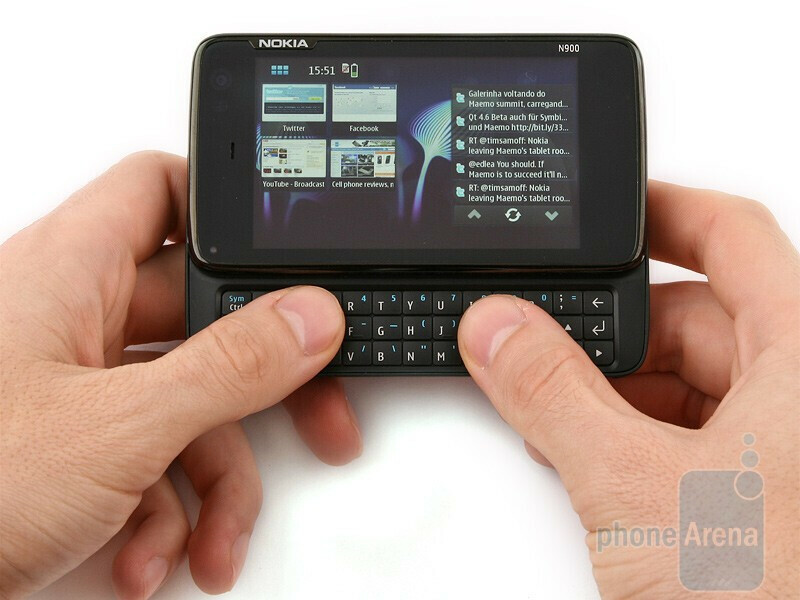 I just returned my Instinct HD and am probably lined up to get a Palm Pixi but would have totally considered the N900 if Sprint carried it. C'mon Noke dabble in the CDMA waters plz. Oh well. Until Nokia partners closely with a carrier they won't ever have any serious market share here in the USA. Finally, my husband has been waiting for this for ages. It's impossible for him to leave without a phone.His phone is busy all the time. All kind of people call him. Some people has so much time that they are calling and cheating. So we need to usehttp://www.reversemobile.com/ to find the cheaters.